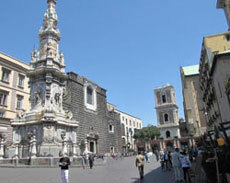 If you are looking for an art historian and official local tour guides stay with me. I'm a professional guide licensed by the Italian Government, ready to let you discover the beauties of one of the most enchanting region of southern Italy 'Campania Coast'. 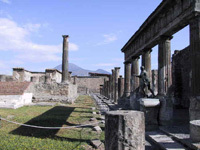 I organize day tours in : Pompeii, Herculaneum, Oplontis, Paestum, Vesuvius, Naples, Phlegrean Fields, Sorrento, Amalfi, Positano, Capri, Ischia, Salerno, ecc.. Together we will share the known and unknown secrets of our land. I guide groups, individuals and scholars.